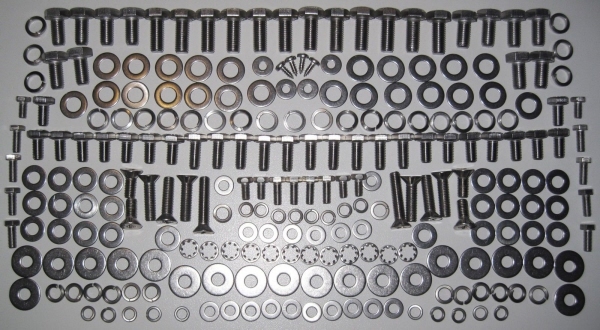 TR-5/TR-6 Doors Refurbishment/Remounting Kit contains all of the threaded fasteners and washers required to replace the standard fasteners in both N/S & O/S - doors and hinges with Stainless Steel components. All contents are bagged by size and type, and components for each functional section of the door (as listed above) are bagged and labelled separately. Screws for the Door Latch and Striker can be supplied Slotted or Crosshead as preferred (please specify when ordering).